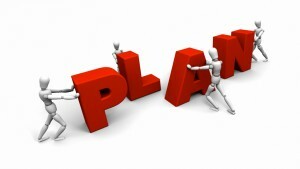 We’re taught that the strategic planning process is linear and rational. The organization spends time developing its mission, vision, and values, it analyzes given conditions both internal and external, develops goals, objectives, and action plans. But, organizations and strategic planning processes are led by people and people don’t always use a rational decision-making process. This has been on my mind as I build a module on strategic planning for an online arts management course and having recently read behavioral economist Daniel Kahneman’s excellent book Thinking, Fast and Slow, in which he explains system one and system two thinking. System one thinking is what we think of as intuitive, but it is not just gut feelings. System one thinking is a quick assessment based on heuristics, seemingly without conscious intention. System two thinking is the carefully considered assessment of alternatives – what we think of as planning. Given the human factor – the intuitively human factor – in the planning process, is it possible to harness the power of both types of thinking when planning? As I prepare to help a small arts organization through a strategic planning process, I am considering where to passively allow and actively deploy the intuitive system one approach and when to keep it in check in favor of rational system two decision-making processes. Certainly, the early brainstorming around mission, vision, and values is a place where intuitive thinking can be not only incorporated but also encouraged. Even in the analysis of given conditions phase, intuition has a place – consider the benefit, for example, of asking internal stakeholders to consider organizational strengths and weaknesses intuitively rather than methodically. We may get to a more accurate perception of what the external constituency sees via heuristic signals than we otherwise would. A resource analysis, however, would seem to necessitate a rational approach. Then we come to the part of the strategic planning process where the pedal hits the metal – goals, objectives, and action plans. I can imagine a very useful scenario where objectives arise out of a non-linear brainstorming process but are then evaluated using rational SMART (specific, measurable, achievable, relevant, time-bound) criteria. (I’m a big fan of the “SMART” approach.) Clearly, at least to me, the action plans must follow rationally from the objectives. While I haven’t yet used this approach, my gut feeling is that embracing both the Dionysian and the Apollonian modes will serve organizations – and the humans that lead them – quite well. This entry was posted in Arts management and tagged arts management, Daniel Kahneman, heuristics, strategic planning. Bookmark the permalink. To the extent that you are rethinking the planning process — it is my experience that the typical annual cycle is frequently non optimal. There are a lot of reasons to develop a financial plan on an annual cycle. And then, it is nice to have everything in synch. It is an obvious way to do it. I’ve always felt that an annual performance review is too long a time period to be of much use. In theory, they should be working documents, etc. but in practice, they tended to get done on an annual cycle. Especially if objectives are tied to financial metrics. More specifically, if the organization has functional periods that don’t tie to quarterly/annual financial reporting periods, then consider alternative time periods. What is the intuitive temporal segments that people use to organize their efforts? Perhaps something could be gained from this perspective. Nick: Thanks for your comment. To clarify, I’m not writing here about the annual operational planning process, but rather long term strategic planning.